Dorham duets with JR Monterose on happy varied arrangements, with Dorham in his characteristic fast-stacatto mode driving the pace. I don’t believe there is a Volume 2 release, and the label makes no mention of it being Volume 1, which legend appears only on the cover. The pressing is mono, with a rich dynamic range, deep groove confims its mid-late 50’s provenance, along with the thick card jacket. Produced by Creed Taylor, which may explain something of the quality. This rare little beauty was sitting on a London record store shelf, unloved and unwanted , due to a visible but “looks worse than it plays” scratch across one side. On closer examination it could hardly be felt, and plays with just a slight faint tick audible in quieter parts, of which there are not many. Negotiating a reduction to just £10 from an optimistic £30 pushed me into buying. I have since found a Japanese pressing of the same record. Sounds pretty good, though not as good as the original, even with the scratch. 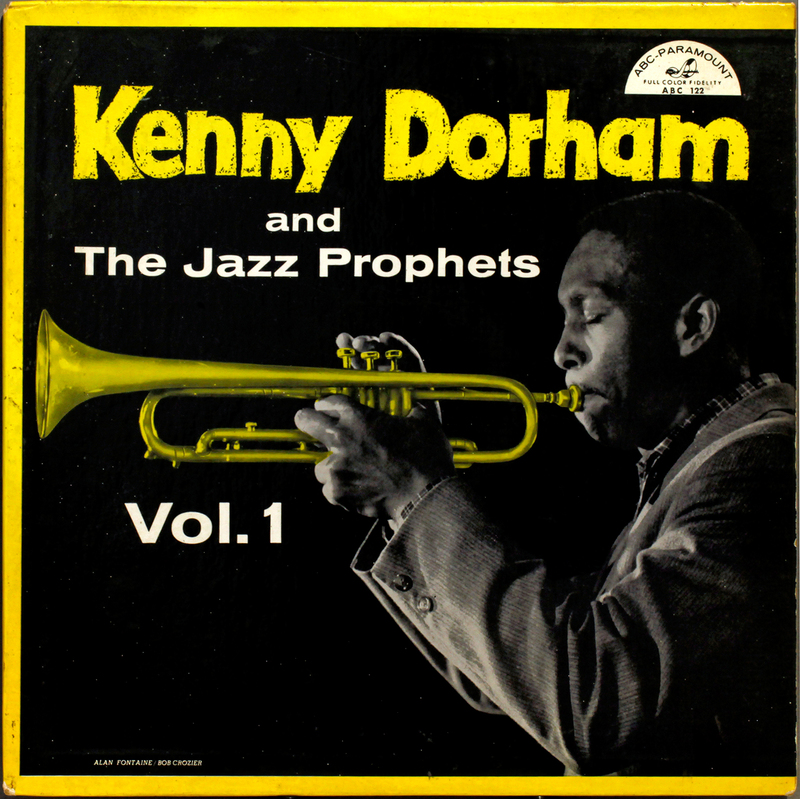 This entry was posted in ABC, Kenny Dorham and tagged Archie Shepp, Coltrane, Jazz, Vinyl by LondonJazzCollector. Bookmark the permalink.